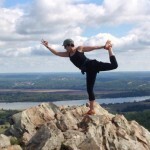 Yoga Hikes comes to VA + Meet our new instructors! New Season, New Partners, New Instructors! Yoga Hikes VA in June! 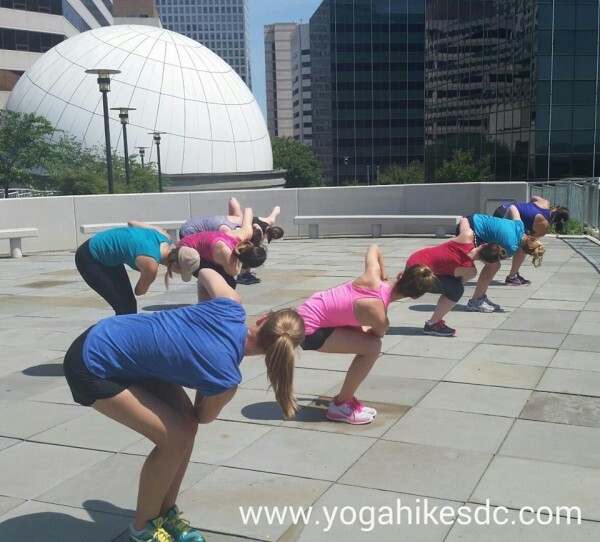 Many of you have asked for Yoga Hikes in Virginia, so we are thrilled to be partnering with the Rosslyn Business Improvement District (BID) to bring Yoga Hikes to VA in the month of June!! 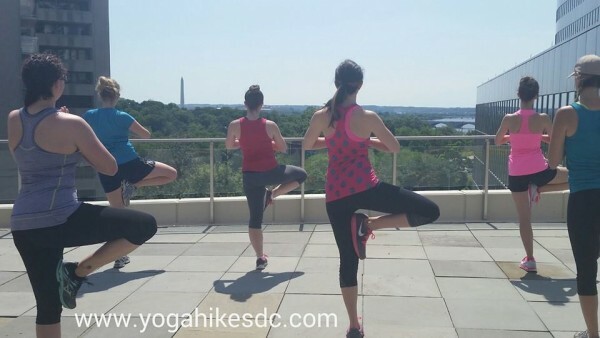 Thanks to the staff at the Rosslyn BID, we will be leading 4 fun Yoga Hikes in Rosslyn, following our signature format (of approximately 15 minutes of yoga/15 minutes of hiking intervals for a total of 90 minutes). 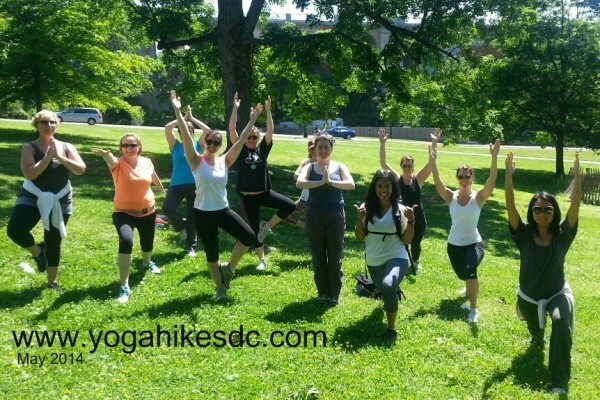 These Urban/Nature Yoga Hikes will take you up hills and through Rosslyn with Yoga Stops at 3 different green spaces. Please note this is an ACTIVE paced workout designed to give you the cardio benefits of hiking and the strengthening and stretching benefits of yoga. All levels of yoga are welcome. Why are we already in love with these hikes? 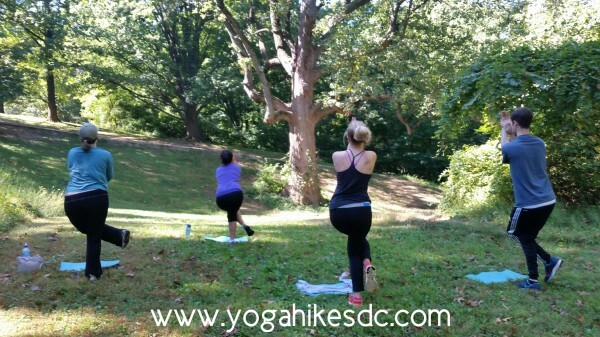 In addition to beautiful flat green spaces and some great hills, these Yoga Hikes start at a location that is Metro accessible, offers free parking, and has public restrooms! 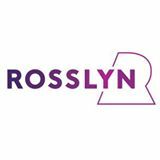 So come out and meet us at the Rosslyn BID located at: 1911 North Fort Myer Drive, LL-10, Arlington, VA (next door to Continental Pool Lounge and facing Gateway Park). Keep in mind that space is limited. These hikes will fill up! Please sign up through the Yoga Hikes DC website to participate. The single hike rate is $25 or buy the 4 hike package for $80 (a 20% discount!). For more information visit http://www.rosslynva.org/events or sign up directly through the Yoga Hikes DC schedule. Yoga Hikes is excited to have two wonderful new RYT 200 yoga instructors join the team for the 2014 season. Many of you have already seen Rachel Wimberley and Sara Bannon on Yoga Hikes as participants and assistants. 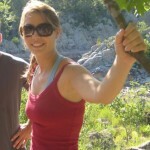 Yoga Hikes is very fortunate to now have them share their passion for yoga and the outdoors as instructors. Both women are avid yogis, hiking enthusiasts and have participated in numerous outdoor fitness activities with owner Danielle M. Reyes, including yoga, hiking, running, and stand up paddle boarding! Rachel Wimberley was first attracted to yoga after a significant weight loss in her twenties. After changing her diet and lifestyle she was ready to find a way to help tone and refine her physical body while also bringing calmness and clarity to her busy mind. Over the past few years she found that both mind and body have been transformed by her yoga practice. She is a graduate of STROGA’s Yoga Teacher Training program. Sara Bannon is a graduate of the prestigious Mimi Rieger Teacher Training Program. A student of yoga for over a decade, Sara began accelerating her practice during (and while recovering from) a full term twin pregnancy. Through this experience, Sara is equally comfortable working with advanced students and those new to their practice. To learn more about Rachel and Sara, please see their full bios on our Instructors page. WE LOOK FORWARD TO SEEING YOU ON A FUTURE YOGA HIKE!